Find only the best new homes in Cary, NC below! There's just something so satisfying about buying a new home. It could be that it's in mint condition, or that it comes with a certified warranty, or maybe it's the feeling of knowing you're the very first owner. Regardless of your reason for shopping new, you won't be disappointed by what Cary has to offer. Cary is one of the best sources of new construction homes in the Triangle area thanks in large part to its proximity to the Research Triangle Park and huge development potential. Browse all of the current homes for sale below or keep reading to find out more about the benefits of buying a new home in Cary! 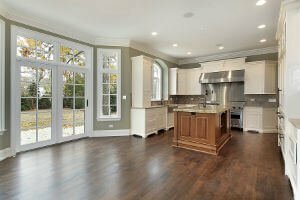 The benefits of buying a new construction home in Cary are endless. Not only will you be getting a fresh space with a layout that fits your lifestyle, many of the new homes are built as part of a master-planned community with all of your needs close at hand. Every home, townhouse, and condo is built to the latest codes and specs for safety and sustainability. Cary's construction scene has erupted in the last decade, and many of the available homes will feature Energy Star® approved features that don't just make the home better on the environment, but better on your wallet too. By maximizing the energy flow in your home you'll save money every month on your heating bills. Another perk to buying new is that if you lock in on a home while it's still under construction, you have the option to work with the builder to really make it your own. Finding the perfect new construction home in Cary is easy with the My NC Homes team. With first-hand experience in the construction industry, we can help you find the right home for your families needs and ensure the home is built to the best possible standards. Send us a message or give us a call now to find out more about new homes in Cary or to tour one of the listings above.